In his words Raghavan claims his book incorporates a number of cross-sectional studies of a number of Tamil societies in the different provinces and survey of the Northern Province, supplemented by a few incidental aspects in other provinces of Ceylon (now Sri Lanka). Raghavan has referred to books and research antecedent to his studies in a thorough manner and has referenced them throughout his book. What I have done is to quote what he had said and what he quotes others to have said, with a name reference only. I have not attempted to interpret or comment on the subject myself. This is only an attempt to present little known information to those who have no access to this book and the insightful observations of Raghavan with reference to the Tamils of Sri Lanka. This is also an attempt to fill the gaps in the ‘Tales of two people’ in modern Sri Lanka. Raghavan says his book does not claim anything more than a general introduction to the Tamil culture of Ceylon. The data are drawn from a great many disciplines: Archaeology, Anthropology, Folklore, Geography, History, religion, Sociology and Topography. A full bibliography is given at the end of the book to help those interested to delve deeper. His book is for the general reader and what I have chosen to highlight are thoughts, facts and information that are not generally mentioned when the story of the Tamils in Sri Lanka is told. My intention is not to reproduce the book, but point to some interesting strands in the ‘Old’ story of the Tamils, to reinforce my position that Tamils are an ancient people of Sri Lanka, is the face of many who claim that we are a relatively new people, using the gaps in our story. My intention is to also also highlight that the Tamils are an ancient people of the whole of Sri Lanka and are a major component of the founding material of this very old, but also a very young modern nation, in terms of time. 1. Ilankai recalls to mind the classical name Lanka, bestowed on it by India’s epic poet, Valmiki. While other names have more or less yielded to time, the name Lanka shines with a splendour that has grown with the ages and today with the advent of national status, the name is more sacred than ever. 2. In the Pali Athakatha, Ceylon is throughout referred to as Simhala Dwipa or Tambapanni. In the frequency of its usage in later days, the name Simhala Dwipa prevails, very likely what remained of Lanka in the ages following the submergence of parts of it in the waters of the sea; what was left of the more extensive dominions of Ravana’s Lanka. 3. The more familiar term in Tamil is Ilam occurring in Tamil literature, as in the spoken word. As a land which has had a good deal of Tamil cultural influence in the Middle ages, the term found its way to Kerala. An illustration of this is the saying in Malayalam, “Whoever sees Ilam, will not see his home again”, which perhaps is largely true. 4. Cultural anthropology studies human societies with reference to their living conditions, each in its particular pattern of life. So far as Ceylon is concerned, the cultural outlook predominates. We may rightly visualize the word ‘Culture’ as an anthropological tabloid. In this little word you sum up the entire life history of a people in all its aspects, whether as a member of a family or as a limb of the wider aspects of the society in which he lives and moves and has his being. The customs and habits that regulate life in such matters as the production and preparation of food, dress, conditions of housing, matrimonial relations, behaviour and courtesy, symbolisms, traditions, ballads, myths and legends, folk songs and folklore, systems of medicine, magic and charms, religious doctrines, rituals and practices, festivals and ceremonies, system of education, music and dance, agricultural life, arts and crafts, all these and more too numerous to detail, are all implied by the word “culture”. 5. The historian in Ceylon as well as the sociologist has to face the fact that we have no studies of the Tamils of Ceylon, giving us an inter-related account corresponding to the Mahavamsa of the Sinhalese. Early Tamil writers of Tamilnadu as of Ceylon were poets who have left us a heritage of poetical compositions some of which rank among the highest productions of Tamil literature. 6. The era of the Arya Chakaravarties of Jaffna- from about the 8th to the 17th century, was an era of all round cultural progress and in the writings of the age, we have a number of poems expressive of the several sides of Jaffna society and culture. Of folk literature we have two sets of collections, the Kayilaya Malai the earlier and the Yalpana Vaipava Malai by Mylvagana Pulavar. 7. On grounds of ancestral racial and cultural heritage, the Veddhas, the Sinhalese and the Tamils are the three ‘Primary races of Ceylon” (Stoudt). The Veddhas are the aborigines of the Island. Practically, all authorities are agrees, that the Tamils have been in occupation of the Island “for over 2000 years” (Tennent and Paul Pieris). 8. Speaking of the Sinhalese, the latest data by Stoudt in his comprehensive studies on the racial composition of Ceylon, sums up the Sinhalese in these terms: “There is general agreement that the first large scale immigration into Ceylon in historic times came in fact as well in legend during the 6th century B.C and these Aryan-speaking immigrants from the North of India were in some part ancestral to the present day Sinhalese. 9. However, there is little doubt that the present day Sinhalese are a composite people which include, in addition to the predominant Aryan-speaking North Indian, admixtures from Dravidians of the South of India and especially in the Kandyan Highlands, from Veddoid aboriginals of India as well. 10. The above conclusion of Stoudt generally bears out the comprehensive studies of Hooton leading him to the observation that the Tamils and the Sinhalese are each a morphological type, of the composite Indo-Dravidian race, “a blend of a number of racial strains on a basic “Mediterranean race”. 11. The racial characters are generally similar in the Tamil as in the Sinhalese, which has disposed anthropologists, to remark that “the Tamils and Sinhalese are racially alike, but sharply distinguished in language and customs of life”. The commanding position of Ceylon at the Southernmost point of the mainland of Asia, on the worlds highways between the East and the West, has drawn to its shores divergent peoples, from early ages. Lured by pearls, gems and spices came foreign merchants-the Greek, the Romans and the Arabs. Besides trade, the footprint in Adam’s peak (Sri Pada) regarded by the Muslims as the sacred footprint of Adam, was an additional impetus to the Muslim world. Prompted by interests other than trade, came Malays from the Island of Java in the 13th century and in time spread over to different parts of Ceylon, mainly the Northern, Western and Southern Provinces. 1. Nearer home, the environmental geography of Ceylon in relation o South India, its next door neighbour, steadily exerted profound and enduring influences on Ceylon, historically, socially and culturally. 2. Tracing back the original homes of the Tamils, recent researches have in the main strengthened the hypothesis of the origin of the Dravidians from lands bordering the Mediterranean Sea, and the islands of the Aegean archipelago. Dominant racial strains and cultural traits of the Tamils found prevailing in varying proportions over North India and adjacent lands, lend substantial weight to this wider outlook of the original home of the Tamils, leading us to the proposition that however much the Tamils are concentrated in South India, where their language and culture are best preserved, they nevertheless were not indigenous to South India. 3. The dispersal of the Tamils over the ages from their homelands to the mainland of Asia, spreading over in strength to lands of South East Asia and beyond, and to the islands of the Atlantic and Pacific Oceans, bear testimony to the international outlook of the Tamils from very early days. 4. The intimate cultural integration of Ceylon with Tamilnadu of South India is well sustained by several sources. Of literary evidence we have the epic poem Manimekali among “the greatest of the classical epic poems of Theravada Buddhism,” and the Cilapaddikaram, the epic of the Anklet, singing the chronicle of Kannagi. 5. The cult of goddess Kannnaki is a vital link between South India and Ceylon. Following the inauguration by Cheran Senguttuwan, of the temple to Goddess Kannaki at which King Gajabahu (171-193 AD, as Cilapathikaram tells us, the cult of the Goddess spread all over Ceylon, the Kannaki Amman of the Tamils, Goddess Pathini of the Sinhalese, the most vigorous perhaps of the folk cults of the Sinhalese. 6. Paul Pieris, the eminent Sinhalese civilian and historian, following his excavations of part of the site of Kantharodai, the earliest capital of the Kings of Jaffna said, “It will be seen that the village of Kantharodai has no reason to be ashamed of its contribution to our knowledge regarding the ancient history of out island. It stands to reason that a country which is only 30 miles from India and which would have been seen by Indian fisherman every morning as they sailed out to catch their fish would have been occupied as soon as the continent was peopled by men who understood how to sail. 8. The situation of these large and ancestral shrines in widely separated parts of Ceylon is an obvious index to the range of distribution of the Tamils over Ceylon from very early ages, testifying to a strong Tamil population at the cardinal points and sea port towns of Ceylon. This would also indicate that the Tamils entered Ceylon at whatever port was most convenient of access, not necessarily from the major sea ports of the Jaffna Peninsula. 10. The most significant role Jaffna filled in the annals of the Tamils in Ceylon, is to be sought in the fact that as the nearest to the Tamilnadu of South India, Jaffna was the earliest to come under strong, social, cultural and political influences from South India, and was occupied by the Tamils earlier than the rest of Ceylon, going back to the legendary days (Manimekalai; Cilapathikaram). Under a variety of forces, Jaffna developed as an independent sovereign power from early ages with its line of kings. Jaffna grew from strength to strength and in later ages, became a political factor in the history of Ceylon, to middle of 17th century when Jaffna passed into the hands of Portuguese. The Tamil kingdom of Jaffna indeed witnessed its growth and development side by side with the Sinhalese Kingdom at Anuradhapura. Politically and culturally, the Vijayan era set the stamp to the progressive growth of the Ceylon Tamils. 11. The Ceylon Tamils are intensely concentrated in the Northern and Eastern Provinces, regions which have come to be known as the homelands of Ceylon Tamil, and they are a strong minority in the rest of the provinces of Ceylon- a major element in the population of the Western, Central and North Western Provinces, particularly in the region between Puttalam and Kalpitiya. 1. In the reconstruction of the history of the Ceylon Tamil the early stages pose a problem of their own. This largely follows on the scarcity of absolute historical data, either of chronicles or of evidence from archaeology on a scale commensurate to the magnitude of the problem. 2. In this respect Sinhalese history strikes a parallel to early Tamil, much of the Vijayan epoch being built up from a complex of legends; so much so historians are disposed to begin the authentic history of Ceylon from the reign of Devanampiya Tissa (247-207 BC), the contemporary of Asoka, on the ground that it is only after the spread of Buddhism that an authentic account of the history of Ceylon emerges. 4. Of prime importance to the destinies of Jaffna have been her seaports the only gateway for ages between Ceylon and lands overseas, an index to which are the antiquities revealed by the sporadic excavations so far carried out at Kanthorodai and Mantai, Indian Punch-marked coins, Roman coins, objects of indigenous art and industry and Hindu and Buddhist sculptures. These and other objects of material culture disclosed in the small scale explorations elsewhere too, bear out the inter-related life the people lived. 5. Here I may draw attention to the cosmopolitanism in social relations, not only in Jaffna but also in other commercial centres on the mainland, such as Puhar, the Chola capital. What is found in the Jaffna peninsula, in the ancient capital cities and the maritime port of Mantai, is this cosmopolitan life of early Tamil commercial centres in India as in Ceylon. 6. In place names, Sinhalese place-names in Tamil areas and Tamil place-names in Sinhala areas, we may see a reflection of the inter-related social life the people lived, rather than any priority of occupation by either. 7. Assembling the data from the Mahavamsa and other sources, Fr. Gnanaprakasar, in the “The beginnings of Tamil Rule in Ceylon”, sums up the social impact:”The Pandyan sent out his own maiden daughter with 699 maidens chosen from among his nobility. The princess was attended by personal staff of 18 officers of state, 75 menial servants besides numerous slaves. 8. The Vijayan era was one of cordiality between South India and Ceylon. All through his long reign of 38 years, Vijaya sent the Pandyan king an annual present of “a shell pearl worth twice a hundred thousand (pieces of money)- Mahavamsa. Part 1- Chapter 4: From the post-Vijayan to the Kandyan era. 1. We may pause for a while over the cryptic statement of the Mahavamsa, of the sequel to the victory of Prince Duttagamini over King Elara, says that,” When he had overpowered the thirty-two Damila Kings, he ruled over Lanka in single sovereignty”. Who are these 32 Damila Kings? There is no chronicle to clarify this bold statement. Nevertheless we cannot brush this aside as pure fancy. 2. The only reference we have, as to the existence of an independent royal dynasty in South East Ceylon in the second century B.C, supported by Paravitana’s researches on the inscriptions of Bovatagala, at a distance of about 30 miles from Kataragama. Paranavitana observes, “The origin of the Kshatriyas of Kataragama is obscure. The only mention of them in chronicles is in Chapter XIX, verse 54, of the Mahavamsa. 3. There is also a specific mention of ‘Kings’ of Kataragama in the Dhatuvamsa in the words, “Gothabaya, the ruler of Ruhuna killed the ten brother kings of Kataragama, and for the expiation of the crime, he built 50 viharas on either side of the Mahaveliganga.” The epigraphs of Bovatagala, carry the engraved symbol of a fish, the symbol of the Pandyan dynasty, is of interest. 1. According to the Yalpana Vaipava Malai , a conflict arose between Bhuvenekabahu 1 (1278-12/4), the Sinhalese king and the Arya Chakravarti of Jaffna over the rights of Pearl fishery in the Gulf of Mannar. The battle staged (1278 A.D), was severe and Arya Chakravarti triumphed over his adversary. As a consequence, it is claimed that “One flag, the flag of Yalpanam, waved over the whole of Lanka.” The sacred Relic and other treasures fell into the hands of the victor. 1. The geographical situation of Jaffna on the Northern seaboard of Ceylon, decided the role Jaffna was to fulfil in the life of early Ceylon. 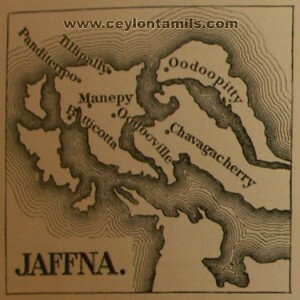 Jaffna indeed held the key to Ceylon of the early ages. The ports of her seaboard were the channels of communication between Ceylon and lands overseas. Envoys from Ceylon with gifts from Devanampiya Tissa (247-207 B.C) to Emperor Asoka (274-237 B.C) embarked at Jambukola, very likely the modern Jambuturai, in the vicinity of the present sea port of Kankesanturai. By the same route, the envoys returned with gifts from Asoka to King Tissa. 2. Adjacent to Jambuturai is the site reputed by the name of Tissamaluwa (Tissa’s Palace) marking the place where the sacred Bo-tree sapling was received by Devanampiya Tissa on its ceremonial arrival from India. 3. After these events King Tissa directed his attention to Nagadipa, where he built the Vihara known by his name Tissa Maha Vihara. 4. 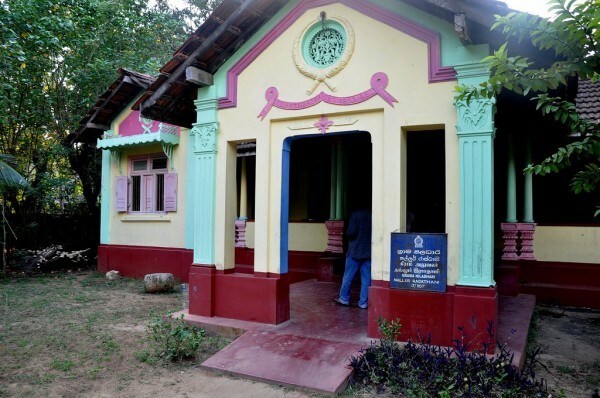 Piyaguka Tissa built a Vihara at a site known as Badakan, possibly Vallipuram of today. Piyaguka seems to have given his name to the island on the Jaffna lagoon, now known as Pungudutivu. 5. Piyangudipa of the Mahavamsa, this insular tract of Jaffna, has had a scared heritage. Here dwelt a brotherhood of Bhikus, led by Thera Gotama. 7. The port that mattered more in Ceylon’s relations overseas was Mahathitha or Matota. Pandyan Brides for Vijaya and his companions landed here. This port figures in the Sangam literature in Tamil as Mantai. Part 2-Chapter 11: The Arya Chakravarties. 1. Traditions narrated in the Mahavamsa and other Sinhalese chronicles, gives us grounds to sustain an earlier epoch in Jaffna, preceding that of the Arya Chakravartis. In common with the ancient civilizations of the world, the legendary era of Ceylon is a transitional phase, a link between the unchronicled and the historic ages. 2. The Mahavamsa speaks of a strong Naga factor distributed in the different parts of Ceylon particularly significant in the North and South-West, ruled over by Naga kings, with off shoots of the Naga over the North-west. 5. Merged with the Sinhala Kingdom, Kelaniya progressively shed the Naga complex, though Naga traditions are a live factor of Kelaniya to this day. Nevertheless as a separate Naga kingdom, Kelaniya ceased to exist, and nothing is heard of it in subsequent period. Against this silence, may be contrasted the heritage of the Naga kingdom of Nagadipa, Jaffna peninsula, the Manipallavam of the Tamil epic Manimekalai. 6. Mudaliyar Rasanayagam’s efforts and subsequent studies on the history of Jaffna have given us the probability of a succession of Naga rulers. Such are the names, IIla Naga (95-101), Mahalla Naga (193-199), Kuja Naga (246-248), Kaunca Naga (243-244), Sri naga 1 ( 244-263), Sri Naga (244-263), Abhaya Naga (285-293) and Sri naga II (293-295). As we glance at their names, it is evident that a number of them. Are the same as those of the kings of Anuradhapura, as given in the Mahavamsa. This would seem to justify the inference that some of these kings may java been rulers of both Anuradhapura and Jaffna, pointing out to an era of co-ordination of relations and administration. 7. The Naga kings were succeeded by a line of kings bearing high-sounding title of Arya Chakaravarties. 1. Uggrasimhan (795 AD), the reputed founder of the Kalinga dynasty, shifted his capital from Kadiramalai to Singai Nagar. Uggrasimhan was succeeded by Jayatunga (Jayasinga) whose reign gains in interest from the legend that the King was visited by a blind Panan Minstrel, the Yalpanan of the legends. Pleased with his music, the King rewarded him by the grant of a sandy waste land. Vaipava Mali calls the Panan minstrel, the blind poet Veera Raghavan. The story is one that occurs too in other folk-lore collections and poems as the Kailaya Malai, Vaiya Padal, Trincomalee Kalvettu and Dakshina Kailasa Puranam, as Rasanayagam tells us. 2. The name Yalpanam did not become popular among the inhabitants of Jaffna until the Portuguese built the town close to the Panan settlement and called it Jaffnapatnam and the British called it Jaffna. “My intention is to also also highlight that the Tamils are an ancient people of the whole of Sri Lanka and are a major component of the founding material of this very old, but also a very young modern nation, in terms of time. You may be right. It is another analysis to oppsitional claims. In the history of the modern nation state of SL( Since 1948) it is a fact that the two communities have drifted apart beyond repair. Of course there shall always remain some( like your self) who believe the opposite. But in my time recently in SL and speaking privately with Tamils when their gurads are down along with all the others who have been forced to leave and form the diasporas, many want some kind of autonomy. I belivethe greatest tragedy is that those who believe in the unitary state for ideological reasons have been the biggest stumbling block for people to assert their true feelings-. It is always opinion on both sides of the coin( those for seperation and those not)to present their case as reaLITY. The only way to determine is to have an internationally monitered refeendum on the where tamils can openly vote their intentions. I am willing to accept a verdict of it. In the mean time the so calle moderates can make alliances with the SL government and peddle their ‘unified SL’ opinion and the separatists can peddle theirs. Going apart doesnt have to be life long anymosity. SOme times one needs to separate untill the time is right to come together. The predicament in SL is like forcing a divorcing party to forcefully stay togethr for the ideological & so called moral sanctification of marriage. Only a referendum can tell the true wishes. On a personnal note I have sat on the fence on this issue for soo long. The end of the armed struggle and subsequent developments have made me actually believing that speration is the only solution for now…. and it doesnt mean I have got ‘abosolute’ hatred of the Sinhalese, nor does it stop from agreeing with dissent, or welcoming other histories of SL Tamils…. What I presumed is just simply mensioned the multy ethinic or multy religions are not materilising in this country. In order to claim any body’s rite they must be prove their contribution that are suport to identification of the country.Some one could call it cultural inheritance. Nevertheless Ragawan’context is not suffecient enough. There are many critisions against them.Herewith I am not going to submit them because it will harm your intension. So Why you are not trying to find out other resources as VILGAM VEREHA scripts. If my memory is correct there is stone letters which in tamil language. Apart form this there are many folkroes(JANA KATHA) One is King Dutugamunu had a tamil queeen called DEMALA DEVI.Some are thinking that she was the daughter of king Elara. What is the connection between the Helas and the Veddas. The three tribes that were living in hela diva at the time of Vijayas arrival wewre known as the Helas. So isthere a connection between the veddaas and the Helas or were the veddas in Sri lanka before the Helas or the other way around. History of Tamils and Sinhalese have many questions. The THRONE name of Jaffna Kings were Para RAJASEKARAN and Jega(sega) RAJASEKARAN. History of Tamil Nadu does not has a RAJASEKARAN as a king anywhere. We can trace Rajasekaran to Kerala. The founder of KOLLAM ERA was a King known as RAJASEKARA VARMAN (AD820 – 844) of Kerala. He succeeded KULASEKARA ALWAR. Rajasekara Varman was suceeded by STHANU RAVI VARMAN. The Kerala connections are always neglected by the Historians. They always try to tell a history from the current Sinhala and Tamil problems or divisions. Kerala is known as SERA country. Further I hope the HE(SE)RATH(U) MUDIYAN(se or selage) are from Kerala. Further all the Sri Lankan communities have cultural affinities with Kerala than Tamil nadu. Many waves of people came to Sri Lanka and settled or ruled. So, Sri lankans cannot claim a particular ruler as their ancestor. (Vijaya story). Sinhalese and Tamils still have the HINDU caste sytem. What ever Buddha preached against caste, the caste never vanished in the HINDU dominated region. Sinhalese are not the exception. Europian Christian rule created some vacuums in the relations of Sri Lanka, Tamil Nadu, and Kerala. It has created some of the current problems. The Ayurvedic tradition of Kerala is well connected to Jaffna. The Kerala Ayurvedic establishments still have and follow the “YAPPAANA VAIDYA NIKANDU”. One Jaffna King(Para Rajasekaran) wrote a book on Ayurvedic Medicine. If Sri Lankans failed or refused to see the KERALA connections, they cannot find the “TRUE” history of Sri lanka! My intention in compiling this presentation was to stimulate a positive, educative and stimulating discussion. Please present the information you have, even if it contradicts Raghvan’s position. Thanks. I shall pursue the issue you have raised. Dr.Ananda Coomarasamy may have studied this aspect in detail. From what I read on the subject the Veddhas are of the Australoid type and may be the remnants of the ealiest Negroid migartions out of Africa. The other peoples were subsequent elements who had followed a different evolutionary path and reached India and Sri Lanka at later stages of human migrations and evolution. As the Veddhoid type is also found in South India, it is possible they were in what is now called Sri Lanka, before the great deluge which shrunk our size considerably and separated us from mainland India. Many of the Veddhas of old may have blended into the Sinhala and Tamil streams. Many Veddhas in the Easst talk Tamil now and the same is happening to the Veddahs who are increasingly expoaed to the Sinhalese and Sinhala. In a recent visit to Dambana, I noticed many of the wives of the real and so-called Veddhas, appeared to be Sinhalese. Further, understanding conclusively the various strands of our history is an almost impossible exercise. As I have said sometime back it is like the attempt of the five blind men to identify an elephant they had never seen. Please enrich the discussion relating to this compilation with any additional or contrary information you may have. I think modern genetic techniques have confirmed what Raghavan has presented in his book, relating to the closeness of the Sinhalese and Tamils as peoples. The Sinhalese and Tamils are not racially different, although Raghavan has used that word. What Raghvan has fairly well established is that the Sinhalese are an ancient people with a very long history in the Island. If that is the case why does not the Sinhala/Buddhist/Aryan establishment acknowledge this part of your history? I thing you should tell your paramount leader Mahinda to omit Vijaya’s story from school history text books. The last sentence in my response should read: What Raghvan has fairly well established is that the Sinhalese and Tamils are ancient peoples with a very long history in the Island. Thanks. Kerala of today, is largely the Sera/Chera Nadu of old. Sera Nadu was one of the Muthamil Nadu’s -Sera, Chola and Padya kingdoms (The tri Tamil)- of old. Malayalam as a distinct language became established after the 9th century A.D and yet retains a large number of classical Tamil words, which are not in use in Tamil Nadu anymore. The Tamil spoken in the north and east of Sri Lanka yet retain classical Tamil words and is intoned in a manner similar to that of Malayalam. The traditional foods of the Tamils and Sinhalese in Sri Lanka are similar to that of Kerala. Further, the Redda-Hatta(cloth and Jacket) of the Sinhalese are similar to that worn in Kerala and Kandyan dancing in particular bears a close resemblance to Keralite dancing forms. Many Keralite (Malayali) teachers taught in Jaffna in the last century and many Keralite toddy tappers worked in the South. The Malayalees in the south have married Sinhala women and their progeny are Sinhalese now. I was surpised to see the Ge-names such as Ramanlage, among the Sinhalese from the Krunegala area. Does this mean the Sri Lnakan Tamils are entitled to a seperate state based on the fct that they have also lived in the country for a long time. If so what is the arae , is it North or the curret Norh & East. As I understand the Sinhal;a people had eveolved from Helas, who mixed with many migrants from North/South india into Sinhala. The sinhala culture was born in Sri lanka with the input of Helas and the Norh/South Indians., where as the tamil culture was born in Tamil Nadu and exported to Sri Lanka. Pls comment on the above if you have a different opinion. In the reconstruction of the history of the Ceylon Tamil the early stages pose a problem of their own. This largely follows on the scarcity of absolute historical data, either of chronicles or of evidence from archaeology on a scale commensurate to the magnitude of the problem. Its a dilemma isn’t it? Given this is the case, how does one conclude Tamils have lived in Celyon time immemorial? In any case the chronicles aren’t as convincing at times given they are written from the point of view of the author. The author may at times have certain prejudices preventing a full and honest disclosure. Perhaps there is a better – even more objective way to solve this dilemma! I present to you the evolution of the Brhami script. Th top most node of the tree is the point in history where the entire Indian subcontinent had a common written language. In fact there are similarities with the Brhami script from Middle Eastern regions all the way up to Japan. This is was the early human migration path from Africa towards the east. At this stage the land bridge would have existed between India and Ceylon. Once people settled in geographically isolated pockets the Brahmi script evolved in different directions. For example Malayalee script evolved to west of Ghats mountain range. Tamil script evolved to East of Ghats. Isolated in an island to the south the Sinhala script evolved. That is what the evolution tree demonstrate. The script evolves bradly into 3 groups. The northern, southern and the Sinhala script. The Sinhala and Southern Indian Brahmi was identical upto the advent of the Pallavas in 3rd century. How did Tamils in Ceylon end up with an identical script currently prevailing in Tamil Nadu given the nature of divergence? The only way an identical Tamil script to South India would exist in Ceylon is if the two Brhami scripts evolved at different speeds in the island after 3rd century. One in Anuradhapura and the other in Jaffna perhaps. Can this be possible? I myself doubt very much. The only plausible explanation is that Tamil script arrived in the island AFTER it was fully evolved to what it is now in TN. By the way, a unique feature of the Sinhala script is that it has influences of both North and South Indian scripts. The ‘Ha’ phenome is missing from southern scripts but available in Sinhala. This explains why south Indians referred to Hela – the early name given to the island as Ela or Eelam. They could not pronounce H-ela without an ‘H’ in their alphabet. “Does this mean the Sri Lnakan Tamils are entitled to a seperate state based on the fct that they have also lived in the country for a long time. If so what is the arae , is it North or the curret Norh & East”. Within the SAARC community the Sinhala/Buddhist/Aryan Kallathonies constitute less than 1% of the total population. If they could have a separate country exclusively controlled by them, what is it stopping others believing and building their own nation within the island, except of course war and violence? However, as far as my people are concerned, we want all the kallathonies out of the island including Sinhalese and Tamils on the basis of first in first out. If you say the Sinhalese came to the island first, then pack your bags and leave the my ancestral first, then the Tamils will follow suite. Where did you get this idea? Do you have any evidence apart from Politician’s oral history? You never defined or explained what Sinhala culture is. As long as you believe in imported origin of Sinhalese myth you will never come to terms with your identity crisis. All your life you are being conditioned to believe in certain myths. Start looking outside the box you will find your answers. 1. The Tamils should be treated as equal citizens in every way and treasured. How this equality is to be achieved is the issue under debate now. As citizens of Sri Lanka, they have a right also to safeguard their language and culture. How this can be done in Sri lanka, is again the subject of debate. I do not believe the Tamils are entitled to a separate state. The whole of Sri Lanka belongs to the Tamils as much as the Sinhalese. I think the solution should not be on a linguistic basis, but on the basis of how the provinces and regions can be efficiently managed. The liguistic factor, which causes much rancour should be taken out of the equation. There is nothing sacro-sanct about how the present provincial borders are drawn at present. The number of provinces can be reduced and the concept of larger regions can be brought into play. Further, how power could be shared effectively at the center, to empower the minorities and promote provincial or regional development should not be ruled out as a possible alternative to devolution. 2. The Tamils of Sri Lanka have a distinct culture, although many basic features are shared with the Tamils and Keralites in India. As a Tamil I can discern the differences, some quite distinct. We speak a more classical Tamil, have a different caste system, are largely Saivites and have distinctive agricultural practices, to name a few.The Sinhalese although having a distinct culture, share many basic features with those in South India, especially Kerala. I have mentioned food as an example in my previous comment. Pathini worship and the worship of HIndu gods is another. To claim otherwise will be misleading. Although the Tamils and Sinhalese are a distinct groups in Sri Lanka, they yet have much in common. Buddhism itself, which defines the Sinhalese, more than anything is an Indian import. “If Sri Lankans failed or refused to see the KERALA connections, they cannot find the “TRUE” history of Sri lanka!” MS. I have a Kerala colleague. When he speaks in Malayalam I could pretty much understand his language. But Malayalam fonts look like Sinhala fonts and we don’t see any similarities with Tamil fonts. Why? Why people in Jaffna never use any of Malayalam letters but have mix of Kerala culture. I guess one of the reason is language transition needs many more centuries to integrate into the society but cultural transition need only couple of generations. Thank you for this. It would be helpful to have a brief intro of M.D. Raghavan. His background (biography, educational and past and present work experiences, where he is getting his references from etc…). Also not sure what you mean by “It may be Sinhalese and Tamils both have the Elu base. The Sinhala and Tamil languages may have also evolved from the Elu language” What is Elu? Is it some mythical race as Hela? Well it all depends on how you term the native South Asians. We can call it Vedhaar, Dravidar or Athi-Dravidar, Hela, Elu, Dalit etc for our convenience to proof our prespective … At the end the darker skinned, wavy hair people are the native to South Asia. There are two logical concepts if the first human is really evolved in Ethiopia or Eastern African Region. One logical concept is that the “South Asian natives” and “Autroliods” separated from their counterparts in “Madagascar” and “Eastern African Region” during the Continental drift. This may not be right, because there is no proof of human existence during this continental drift period. The second one is more logical and make sense is the migration after continental drift, from Eastern African region toward the rest of the world. One group moved to West and South Africa but the features didn’t change much… the other group moved to Middle East where the extreme hot weather started changing some features such as the color and hair styles… From there some moved to North toward Europe and started loosing their darker pigments and became white since they didn’t need much melanin to protect from hot sun but needed more fat to protect them from cold and became Caucasoid… Other group moved to Indus valley, little change… Some continued to move from Indus Valley to North East toward Chinna/Mongolia and started to loose their pigment and features changed to became Mongoloid. Those took the southern route may have became our ancestors “Veddhar/adhi-Dravidar” and those took south East route became “austroloid”. Since there is not much weather different, “adhi-Dravidar” and “Autrolids” have more features in common when comparing with others. I don’t know who is this Elu/Hela is, but if they are same “Adi-Dravidar” or “veddar” then there is no confusion. If Elu/Hela is some intermediate evolution between current SL-Tamil/Sinhala and the old “Adi-Dravidar/Veddar” then it is logical But if Elu/Hela is a completely new race, has no connection with Tamil Nadu’s “Adi-Dravidar/Veddar” and appeared in the Island from nowhere, it doesn’t make any logical sense at all. SL-Tamils may have shaped by “Elu” but definitely Tamil languages itself not evolved from the Elu language. JLD will say that the name Serendip came from the Seran theevu. What do you have to say about that. Well said man. The whole country belongs to the tamils. There is no room for seperate homelands for different ethnic groups. You say the current prvincial councils should be reduced by redrwaing the boundaries. Do you belive even a part of east should be under a Tamil council. Like North + Batticalo for example. I am interested to findout your opinion. I do not belive any sinhalaese would like to see any part of East under Tamil council. If a part of east is brought under a Tamil council, this would be the first time a part of east is brought under a tamil dominated region. With time this could be extended to Central Hills and western province. This is part of the fear the sinhala man has towrads devolution. Tell me man you are a tamil masquarading as a Vedda. From your comments I can gather that you are a very imature young man. I’m a Keralite. While, there might be historical connections between the people of today’s Kerala and Srilanka in ancient and medieval times given the proximity between the two regions and I don’t dispute it, I think one of the Malayalam saying given above is most probably wrongly implied. The above mentioned Malayalam saying/proverb is, “Kollam Kandavanu Illam Venda”, which translated means ” Once you see the beauty of the city of Kollam, you will forget your own house”. My native place is Paravur town in Kollam District, and this proverb is always used to praise the city of Kollam( It was called as Quilon by Britishers). The word ‘Illam’ in the proverb is not connected to Eelam(Tamil word for Lanka). Illam actually means traditional Nair Tharavadu(homes). In ancient time Nairs used to be the local serfs who controlled and ruled their areas and reported to the Maharaja and so their palacial homes called Illams used to be the nerve centre of power in their respective areas. “KANDY” is a word used by Sinhalese and Malayalees only. Kandyan customs are very closer to Kerala than any part of India. Malayalam letters are closer to Sinhala letters. Some are same with same sound representation. I hope the Tamil, Sinhala and Malayalam letters have the same ancestor which must be HELA. Sinhalese claim they are from North India but no trace of Sinhala is available in North India. But traces and connections are availabale to connect Sri Lanka with Kerala than any other part of India. “NAGAS” and “NAYARS” are connected well. “EEZHAVAS” of Kerala still claim they are originated from Sri Lanka. Coconut Toddy culture is the same. Pathiran(a), Thilak Marappan(a) are few Sinhalaized names of malayala origin! Can you get the “similarities” in these letters denote the same sound “KA”. “PA” is coming like the following! ഗ is the same in Sinhala and Malayalam. Sinhala politics always try to bypass the s/India and it is a tragedy/comedy! Sinhala claim from being North Indian is absolute nonesense. Sinhala is the evolution of Helas with North/South Indian contributions. Kandy is the best an Englishman could do with “Kanda Uda Rata”. In other words Kandy is not a Sinhala word. Here is a complete reference. “KANDA” means HILL in Tamil too. Lord Muruga (kataragama deiyo) is known as the KANDA SWAMY(God of the Hills) for Tamil Hindus. That is why Tamil Hindus have “millions” of Kanda samys! Englishman never brought KANDY to Sri Lanka but it was in usage when Englishman came. I agree with those who say the sinhalese are the descendents of the Helas (yaksha, naga, deva, munusha tribes)with the assimilation of subsequent migrants, including Vijaya and other early south and north Indian migrants as well as the recent middle eastern and european settlers. This is the history of all nationalities, whether it be the English, French, Tamil or whichever race. Today the entire island is the homeland of all the citizens, whether it be Sinhalese, SriLankan Tamils,Muslims, Burgers and other minorities. However, commenting on the the mythical Tamil homelands repeated by many writers and the origin of sinhala language, I have extracted the following from the following well referenced articles you must read. 2. “Open letter to my dear Mr. Sampanthan and other Tamil leaders. Posted on April 7th, 2010″ by Lt Commander PBS Hemachandra. 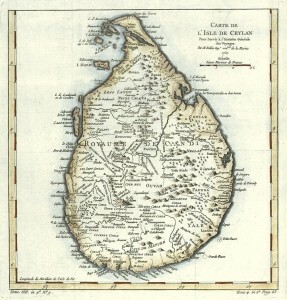 (a) “A true and Exact description of great island Ceylon” written by the Dutch priest Baldaeus in 1672. He accompanied the Dutch forces, which took over Jaffna from the Portuguese, and worked as a missionary. He did a lot of work for the people living in Jaffna. Fortunately he has left details of Jafnapatnam complete with a map. According to Priest Baldaeus, Jafnapatnam had four provinces. Look at the names of these provinces which were Tamilised later. How can these places have Sinhalese names if Tamils lived there??? (b) “This paragraph below is from “The Temporal and Spiritual Conquest of Ceylon” by Father Fernao de Queyroz, a much quoted contemporary Portuguese historian. According to Father Fernao de Queyroz, local Tamil leaders had ruled that region not as independent rulers but as vassals of Sinhala kings. As long as Rajapura (Anuradhapura) was the capital of Ceylon the whole island was subject to one king; but after the inundation of the lowlands and after the city of Cota (Kotte) became the metropolis, there were in the island 15 kinglets, subject to the king of Cota, who therefore was considered to be Emperor, and the same title is in these days claimed by the king of Candea (Kandy). The kinglets were, he of Dinavaca, Uva, Valave, Putelao (Puttalam), Mantota, Tanagama, Muliavali, Triquilimale (Trincomalee), cutiar (Kottiar), Batecalou (Batticaloa), Paneva (Panama), Vintena (Bintenna), Orupala, Mature (Matara), Candae(Kandy) and of the point of the North Jafanapatoa (Jaffna peninsula) which together with the kingdom of Cota makes 16 “(De Queyroz I, p.101). The following statement in his book confirms that the official language of Sri Lanka in 1560 was Singhalese and not Tamil during handing over of Jaffnapatam to Portuguese. “These terms written in the Portuguese and Chingala languages were signed and authenticated.” (Queyroz p.371). He further states about the Jaffnapatam that “It remained under the Portugezen sway for upwards of 40 years, wrested from the Emperor by Philippo d’Olivero when he defeated the Cingalezen forces near Achiavelli (Achuvely) by the great pagoda” Which is clear evidence that Jaffnapatam was captured by Portuguese from Sinhalese forces. In fact when the Portuguese marched into Jaffna it was the Sinhala forces led by Mudliyar Atapattu who reconquered Jaffna, though these forces were defeated later. I suggest to those interested on these subjects, read the above two articles/letters in full, without prejudice. May all SriLankans live as one nation and avoid unnecessary petty conflicts. MS: Thanks for the PA KA examples in Tamil Malayalam and Sinhala languages. Language evolution in Southern Indian region was originated from Tamil language and you know why Sinhala historians don’t talk about Malayalam. Like lord Buddha’s many visits to Srilanka in time machine, history of the Sinhala language also made up with many lies. Sinhala culture; language, art, religion, food…..any of this born in SL ?!! Since Tamils have had an earlier relationship with SL (than Venga boyz, Lala land and Sinha myths), like Elara the Just, Sena, Gutika, etc., it cannot be just TN or foreign. On the contrary Sinhala culture has eliments that came from further away (imported if you like) than this so called Tamil culture. In fact it is our last king Kanusamy’s flag we fly as the (Sinhala) state flag. Europeam Christian rule helped the Buddist revival. Otherwise SL would likely to have been dominated by Muslim or Hindu rule. M.D.Raghavan is originally from Kerala and earned his doctorate from Oxford. Those who are interested in his life and works should check Google Search for M.D.Raghavan. He has studied Ceylon and her peoples from a multi-disciplinary manner, as few have done and has got the nearest to the possible big picture. Further, what everyone tends to ignore when talking about ancient Lanka, is the that it was part of a much larger land mass that also included India. This fact may have had a big impact on what Lanka is today. Further, I do not see anything unique about the Sinhalese as many yet claim. They have evolved along particular lines and are a distinct entity now. They same would apply to all distint people in the world. The ‘White man’ also came out of Africa and was ‘Black’. The Keralites of today, who live close to us, are also a distinctive group, although they were Tamils once. The purpose of this compilation was to demonstrate our essential unity as a people, despite our present diversity. The only solution to the problems in Sri Lanka is to find the essential unity in our diversity. The attempts to yet reinforce the differences and glorify so-called uniqueness, will prove counter-productive. The political clout of the Sinhalese in Sri Lanka, comes from their position as the majority and nothing else. This political clout should be translated to become a big hug of all the minorities, especially the Tamils, who are the cousins, if not, brothers of the Sinhalese. We should not continue to re-enact the roles of Abel and Cain, as in the Bible. A definition of the term is needed: Elu is a term introduced around the 11th century CE to signify the style of Sinhala that does not use Sanskrit borrowings on which the so-called mixed Sinhala heavily depends. I have never heard any serious scholar connecting Elu to Vijaya. The “Sanskritic terms” cited in the list in most cases are the sinhalized versions of the according Sanskrit words. It makes much more sense to simply give the Sanskrit terms on which the Sinhala borrowings are based. This page is more a list than an article. Firstly, I need to mention here that the book you are quoting from (and which I am using as a reference at times, too) was published in 1891. Since then, a lot of research on the Sinhala language has been done, namely by Wilhelm Geiger whose “Etymological Glossary of the Sinhalese Language”, “Grammar of the Sinhalese Language” and various other articles (many of them to be found in the collection “Kleine Schriften”) are considered to be authoritative up to today. “eḷu”/”heḷu” simply means “Sinhala” (cf. Geiger, Etymological Glossary) and used to be used as the name of the language. When literary Sinhala became more and more sankritized, the term took on a different meaning (attested since the 12th century BCE): It is used to signify “pure Sinhala”, that is the variety of Sinhala that does not make use of Sanskrit loanwords but only of genuine Sinhala words (cf. Geiger, Linguistic Character of Sinhalese, Journal of the Royal Asiatic Society (Ceylon), Vol. XXXIV); this style is the language of Sinhala poetry up to modern times. The counterpart of eḷu is miśra siṃhala (“mixed Sinhala”), the variety of Sinhala that makes ample use of Sanskrit loanwords. I think as a preliminary to the discussion we should avoid refering to myths when discussing the history of languages. Vijaya and his taking possession of Lanka, or Tambapaṇṇi as the island is most often called in ancient Pāli texts, belongs to a series of myths narrated in the Dīpavaṃsa, Mahāvaṃsa and the Samantapāsādikā—to mention only the oldest still existing texts. Don’t get me wrong, by myth I understand a story about the past which has some meaning to the present (of the respective author/narrator and reader/listener). This term, as I understand it, does not say anything about “historical truth”. The point is that the meaning of the Vijaya myth is part of a contruction of identity of a certain group of Sri Lanka’s inhabitants. In modern times it was often used to legitimate Sinhala nationalist claims. Is that what you want to do, Clozapine? If not, then please refer to “the island’s first inhabitants” or a similar term. Pāli is not a natural language but more an artificial language like Sanskrit. We don’t know where in India a language similar to Pāli might have been spoken. Possibly it was near to the mother tongue of the Buddhist missionaries who brought over the Buddhist scripures to Lanka. As a comparison of Pāli and the language of the Aśoka inscriptions located in the area of ancient Magadha shows, this was probably not an offspring of Aśoka’s royal house, as legend has it. Recent research points to a region in the Deccan area. But the language we call Pāli today (the term itself was introduced quite recently) is a developed literary language with major influences of other languages (egg. ancient Sinhalese Prakrit). It underwent many processes of standardization carried out by ancient and medieval grammarians which in turn shaped the further transmission of the texts. So, Pāli is a language existing only in the minds (and the books) of ancient and modern researchers who reconstructed it from the vocabulary of the Buddhist texts in a certain state of transmission. Whatver language the first inhabitants of Sri Lanka might have spoken, it was certainly not called Elu by them. It is also very doubtful that these people have refered to themselves as Sinhala or a word deriving from that. Ancient inscriptions of Sri Lanka were written in a kind of Prakrit that shows similarities to West-Indian and East-Indian Prakritic dialects, for example a nominative singular ending in e instead of o. These are the oldest textual testimonies we have at hand and thus the oldest available form of the language spoken (or better: written) on the island. Scholars usually refer to this language as Sinhalese Prakrit. To call it Elu is anachronistic. To my knowledge, the word Elu was established as a term denoting that quantity of Sinhalese vocabulary which was not artificially modelled after classical literary Sanskrit. This happened in the time after the Coļa empire, when the knowledge of Sanskrit was widely spread amongst the country’s intelligentia and started to shape the language of Sri Lanka’s literary products (11th cent.). In that time books were written that play with different forms of certain words, for example śāsanaya and sasun. The former is a derivation of Sanskrit śāsana, the later is the “natural” Sinhalese word for the “Teaching of the Buddha” as ordinary people of the respective time might have used it. Words like sasun were called the Elu forms, while the former were called miśra-sinhala, because they were artificially mixed (miśra) together taking the Sanskrit stemm and the Sinhalese ending -ya. Some books of that time were composed by consciously alternating passages completely written in Elu and passages completely written in miśra-sinhala. So, to be exact, Elu is a term invented by authors of the 11th cent. to symbolize the verbal inventory of a literary language conststing of words that they considered to be more genuin than their Sanskrit-derived counterparts. Some of these words might have been used by ordinary people or in everyday conversation. Some might even be obsolete words that were no longer generally used—they might have been known to the literary public via older books or special speech-acts (for example the telling of popular narratives can transport old words and phrases that are out of use in other contexts). Many of these Elu words etymologically go back to the Prakrit language of the ancient inscriptions. But this might not hold true generally. There are many things that can happen to a language in the course of time. You can even think of the possibility of an “over-Elu-ization” of a certain word, i.e the creation of an Elu form for a Sanskrit term which was utterly unknown in Sinhala before. This often happened mutatis mutandis when Buddhist Prakrit texts were translated to Sanskrit in ancient India. I think it was a hasty over-generalization of Gunasekara to name the ancient Sinhalese Prakrit Elu. It may be interesting to know that Elu means “to speak” in Kannada. Helu can mean “Say”. So may be Elu Simhala may mean spoken Simhala. Because words in any language may have many meanings and thus interpreting one language based on meaning in other may not be so good but if it for good purpose it may be desirable. Elu – speak, getup, say, seven, stand, advance, etc. A personal note: There are an Elu people in Papua New Guinea. During pre-historic times Ceylon is said to have been occupied by the Veddahs, Nagas and Yakkas. The Mahavamsa also refers to Lord Buddha’s visit to Nagadipa (the Island of Nainathivu) in order to settle a dispute regarding a throne between two Naga Kings. This legend is again supported by the Manimekalai. It is difficult to find out what the language of the Nagas was at that time. But it is clear that during the Sangam period the Nagas of Ceylon were well versed in Tamil. Nagadipa was the original name of the Islands of the Jaffna Peninsula. Ptolemy’s map shows that a number of towns in Ceylon in the pre-Christian era had Tamil names. Megasthenes called Ceylon Taprobane but Pericles says that Taprobane was replaced by Palaesimundu, perhaps a corruption of Palayanakar. The Mahabharata and the Ramayana speak of the Nagas of Jaffna. The Mahavamsa says that Yakkas and Nagas occupied Ceylon before the advent of Vijaya. Sinhalese stupid people and their brotheren the Tamil stupid people suffer from long term paranoia, because the fear of loosing everything that they illegally gained in my ancestral land and also the fear of not being able to grab more of whatever it is in the future. That is your problem, (TYP)and not mine. I have no treatment for your paranoia except to ask both of you to go back to your respective Venga Desam or Tamilnadu. The first comprehensive population Census in Ceylon was taken in 1871. Both stupid people ought to look at it before commenting on land and demography. I would also suggest you read “The Decline of Polonnaruwa and the Rise of Dambadeniya” by eminent scholar Prof Amaradasa Liyanagamage. I request you to read quality research papers by renowned scholars (you wouldn’t believe there are few left in Sri Lanka) than by the Sinhala/Buddhist/Aryan bigots. If you put garbage in surely you get garbage out. You have not answered my question. You are a tamil guy masquarading as a vedda right. Your latest article shows that youare a little bit more mature than what I thought. Thanks for this informative articles. I read your articles and commenst with great interest. You are perhaps the most informative and intellectual person on this forum. Would really like to meet you in person one day and have great interllectual discussion. Were the Nagas not one of the Heal tribes. It is more logical to think that the sinhala race was evolved from the Helas and the North/South Indian Migrants. What would be your explanation for the tamils to be concentrated in a realtively smaller area in Sri Lanka compared to the sinhalese. Isn’t it logical to think this is because the tamils arrived in SrI lanka much much later compered to the Heals/Sinhalas. Besides the isn’t the tamil precence in the country similar to the tamil precence in the adjoining states of Tamil Nadu. Having asked all this question, i would like to reitarate that the whole country is the homeland of the tamils along wth the sinhalas and the muslims. a. A very large number of Hindu-Tamils who became Buddhists when Buddhism came to Sri Lanka, have over time become Sinhalese. b. Many Tamils who migrated to the South of Sri Lanka in more recent centuries have become Sinhalese of distinct castes – Karawa, Durawe, Salagama, for example. d. Many Tamils in the Western seaboard have become Sinhalese in recent times and are in the process of becoming Sinhalese even now due to social pressures generated by the lack of Tamil schools and the anti-Tamil sentiments rampant at one time. Tamil village names along the Western coast were Sinhalized also with almost missionary zeal at one time. Cardinal Coorey (Late) stands accused of deliberately strangling Tamil education on the Western coastal areas, forcing Tamil children to attend Sinhala schools. d. Ancient wars between Tamil Kingdoms in India and North Sri Lanka with the Sinhala Kingdoms may have created a climate for the Tamils to seek refuge in the north and east as after the riots of 1958 and after. e. Malaria, the collapse of the Anuradhapura and Polonnaruwa-based Kingdoms, and the subsequent reversion to wilderness in these areas, may have restricted the Tamils who were already there to the north and east, while those beyond the wilderness towards the south, became Sinhalese with time. f. Incidents such as the Tamil Manal Aru in Mullaitivu being made a Sinhala Welioya, may have also happened previously in history. g.Sinhala as a language and Buddhism as a religion were fostered by the Buddhist Sangha vigorously and patronized by the Kings of old. This definitely, as seen in recent times,been a major factor in developing a vigorous Sinhala-Buddhist identity. I have myself witnessed how Buddhist monks played a criminal role in changing the Hindu-Tamil ambiance at Kataragama/Kathirgamam, to one that is now Buddhist-Sinhala, with state patronage. Many forces have been at work through history to bring about the present circumstances. The Tamil suspicions of Sinhala intentions are the result of the lessons they have learned from history. This fear is real and has to be understood in a historical context. The demand for Tamil Eelam became a reality because of historical memories and post-independence realities. The Tamils are on the defensive as a besieged people and their reactions are that of a people who have been pushed to the wall. They are forced to fight back, to survive as a people. They have been taught by history to suspect anything and everything done by the Sinhalese. This suspicion and distrust have to be removed, if solutions on the communal front are to be found. It is for the Sinhalese to understand this ‘Reality’ wisely and find solutions in a compassionate manner, befitting Buddhists. Incidentally, Kerala and Andhra were Tamil once upon a Time. Now these areas a Malayalam and Telungu in character and often express anti-Tamil sentiments! Further, the telungu script is very much like the Sinhala script. Finally, I shall look forward to meeting you soon. I had missed answering your question in an earlier comment, whether the north and east should be linked. The answer is a big no. I do not think the Tamils, Muslims and the Sinhalese living in the east want that. Further, the present Eastern Province with its almost equal mix of the three communities, should develop as a model of co-existence for the rest of Sri Lanka. Power devolution or power sharing should be on the basis of the present nine provinces or larger regional units. The districts should also be included in a meaningful way to make devolution or power sharing meaningful in terms of development. “To the world, Sri Lanka was known as ‘Heladiva’ before the arrival of the Aryan prince ‘Vijaya’. ‘Heladiva’ simply translates to ‘the land of the Hela People’, where the Hela people are the collective members of the four known tribes that existed before the invasion of Vijaya. These tribes are Naga (Serpent worshipers), Raaksha (Demon worshipers), Deva (Tribes who worshiped godly deities) and Yaksha (Demon Worshipers). The term Sinhala, which was later applied to the race of people and the language appears to have arisen after Vijaya, referred to in legend as partly descended from a lion, was coined from the joining of the Sanskrit word for Lion (Sinha) and Hela, resulting in Sinhala.”-Wikipedia. I am in jaffna at present and do not have access to the books by Ananada Coomarasamy in my library. Shall check these and get back to you, once I have more details. The Nagas, subsequently were probably absorbed into the Sinhala and Tamil communities. The Nagas, apparently co-existed with the Sinhalese and tamils at one time. Raaksha and Yaksha, may have been the same people, classified on the basis of whom they worshipped. Ravana was a Siva worshipper, where as many of his followers dealt with evil forces. Vibeeshana- Ravana’s brother, was a “GOOD’ Raaksha. Raaksha (Yaksha, Irratchasar,Iyakkar), were not particularly devil worshipers. Ravana belonged to this group. This tribe was ahead in technology, which appeared ‘Demonish’ to others. Ravana flew a plane/helicopter! The Tamill word ‘Iyakkar’ – operators- gives a clue to the creative abilities of these people. Even today, the Sinhalese use the words- Yakka, Maara Yakkka- with reference to people who are very good/ bad at something. I wonder whether the word ‘Dakshai’ (Capable) has any connection to the word Yaksha. there is no use of discussing history here, who came first to this island and who were the inhabitants then is not an issue as everyone here is born as sri lankan and entitled to all the rights any lankan should have. Discussing who came first is a historical matter and should be dealt by only historians. The ground reality of SL should be taken when devising a political solution. whatever the history of this country is there are wto types of people here, one who speaks tamil and the other who speaks sinhala. the only way this country can go forward is by having two administrative region, one in tamil and the other in sinhala. that is the practical way. whatever said and done i personally believe sinhala politicians are largely responsible for the current status of the country. A proper power devolution with the tamils should have been devised in early 50s. but we cant undone the damage now, at least correct the things for the sake of future generation. I read your replies with great interest as usual. Thanks again for writting in an informative manner. In my opinion I belive you should take up politics/governance. Along with you I can think of D BS Jeyraj, Radika Coomaraswamy and a few others who should take up politics and steer tamil politics away from extremism. By doing this you and the other educated eminent tamil leaders can play a role alleviating the sinhala fears( Sinhala fears – This could very well be psycological than based on reality), there by paving the way for the realisation of the Tamil aspirations and a long lasting solution. It is with great satisfaction that I read the arrival of Chandrahasan to Jaffna. There are rumours that he would take to politics. I sincerely hope and pray he would. If it is so that is a very good sign. Whether I am a Vedda, stupid Sinhalese or stupid Tamil does not matter as long both stupid people remain ignorants. I am equally scathing both stupid people. Those who live by the sword die by the sword. Those who thrive on ignorance, destroy the country by their ignorance. I am sad to say you are one of them who is actively seeking to remain one. Now it was like painting down each and every Keralite Malayalees and Telugu people as anti-tamils. It cann’t be more further from truth.Such sweeping statements are least expected from a learned and informed person like you. No Malayalees will deny our language was borned out of Tamil.But just like any Tamilian would love their mother tongue, Malayalees too have deep love for Malayalam which even while not as old as Tamil, has got its own history of years of centuries, a long enough history to be proud of. As for some issues of concerns, it is more political in nature between two states/parties which are very much surmountable and should not be a basis for having any suspicions to disregard thousands of years of peaceful and brotherly cohabitation & relations between tamils and malayalees. “yaksha” or others existed in the OLD Sri Lanka. But how can we say one group spoke Tamil or Sinhala? Tamils always make false claims that Malayalam and other S/Indian languages born from Tamil. The Sangam (Golden Era of Tamils) literatures were written in TAMIL which is known as SEN THAMIL in Kerala. Malayalees are still use the Sangam era Tamil words but the Tamils of Tamil Nadu or Sri Lanka dont. I hope the presentday Tamil was born out of the OLD MALAYALAM. Malayalam script developed in its own way. The same time the Tamil script was developed. Malayalam scripts also developed from a common ancestor which must ELU or HELA. Can you tell the TAMIL meanings of the words CHERA, CHOLA and PANDIA if they come from any TAMIL origin? I look the answer for the last 35 years and no one is giving any explanation. No doubt the Tamil spoken in most parts of Tamil Nadu now is the degraded version-‘Kodum Thamil’ (rough and jarring Tamil). Senthamil-(classical, soft and melodious Tamil) was spoken in the north and the east of Sri Lanka until recent times. The situation is changing fast and more and more Tamils here are increasingly speaking and learning “Kodum Thamil’. Tamilnadu TV and films are a curse. Karunanithy family TV stations -Sun and Kalaignar- are the worst offenders. I am convinced ‘Senthamil’- to me that is Tamil- was the womb from which many South Indian languages branched off. The present day Kerala was largely the old Sera/Chera Nadu that gave us the Silapathikaram. As much as Latin and Greek formed the base for many European languages, Senthamil has also done so in South India. It is fairly established that Malayalam become a recognizable and distinct language in the 9th century AD. However, I am sure it evolved over several centuries to become what it is today. Since the Tamil in Silapathikaram is Senthamil, I cannot dispute that it was the parent of modern Malayalam. I cannot answer your question about Chera, Chola and Pandiya. However, I will scour the sources available to me to find an answer. Do you know where I can find this book to purchase it? I cannot find it anywhere online. I am not sure whether the book is available anywhere in Sri Lanka. On my visits to bookshops in Colombo and have noticed any. Such books should be reprinted and made available to the public. If you live in Sri Lanka, I can provide my copy for photocopying. I live in America–just a few thousand miles away. lol I have tried looking ob websites, but all the sites had it for about $100. All interesting, but none of these comments emphasize that Vijaya / the earliest Sinhala ancestors came from Western India, now Gujarat. I don’t have time to cite sources today, but the Dipavamsa and Mahavamsa evidence is that they came from there, as other Indo-Aryan speakers pushed down from Punjab into Gujarat, as in the epic of Krishna. Vijaya’ entourage seems to have been expelled (leading to later political expulsion in Sri Lanka). His entourage stopped in Sopparaka (modern Sopara) and Bharukaccha (modern Broach) in Gujarat, and also the language is closest to WESTERN Pali. There is no question about their origin. Later Buddhists tried to place all early influence from Bengal or eastern India, with or after the arrival of Buddhism from there, which has made for a lot of confusion.